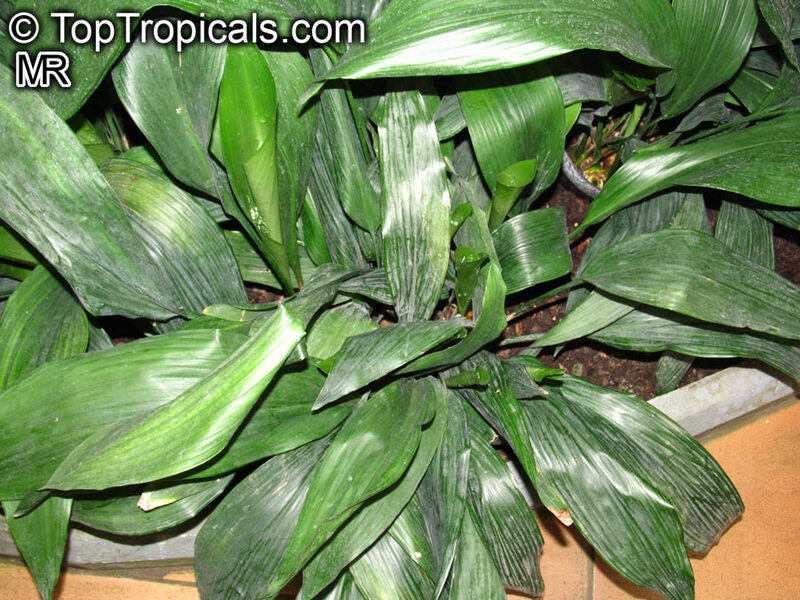 The most common variety is the one with all green leaves, A. elatior (sometimes labeled as A. lurida). 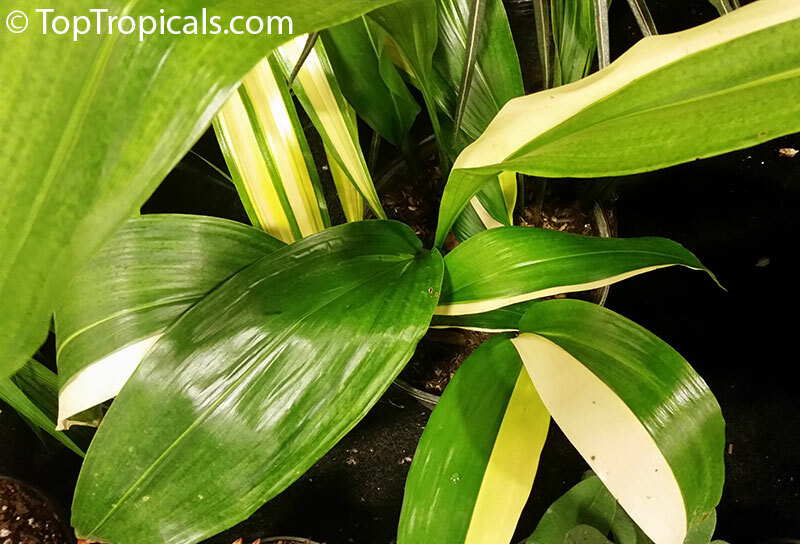 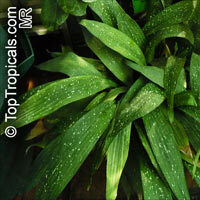 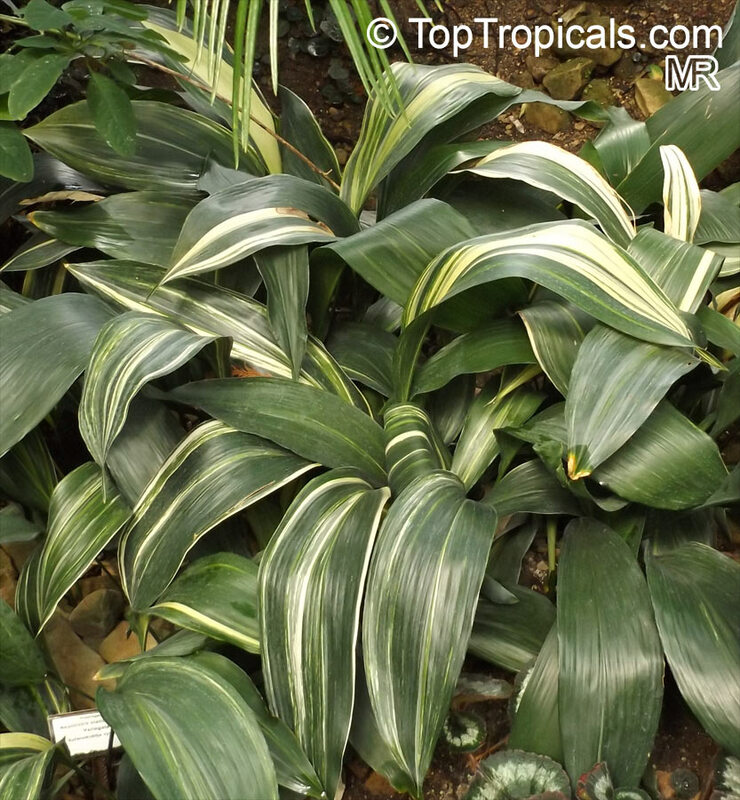 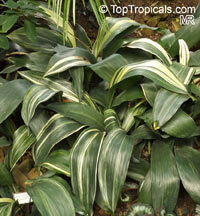 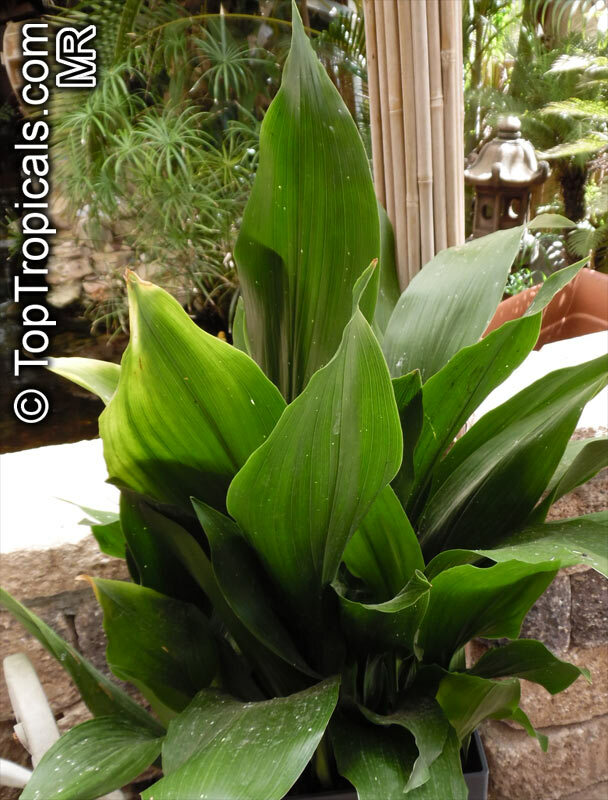 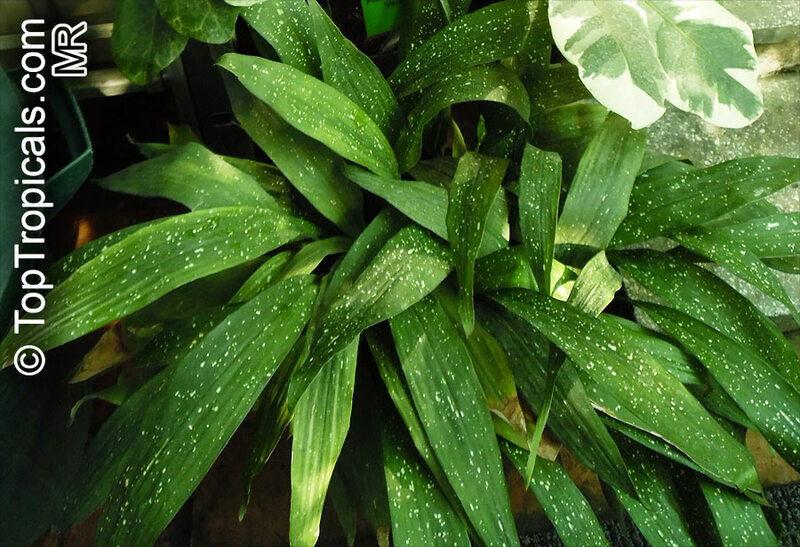 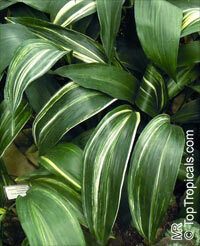 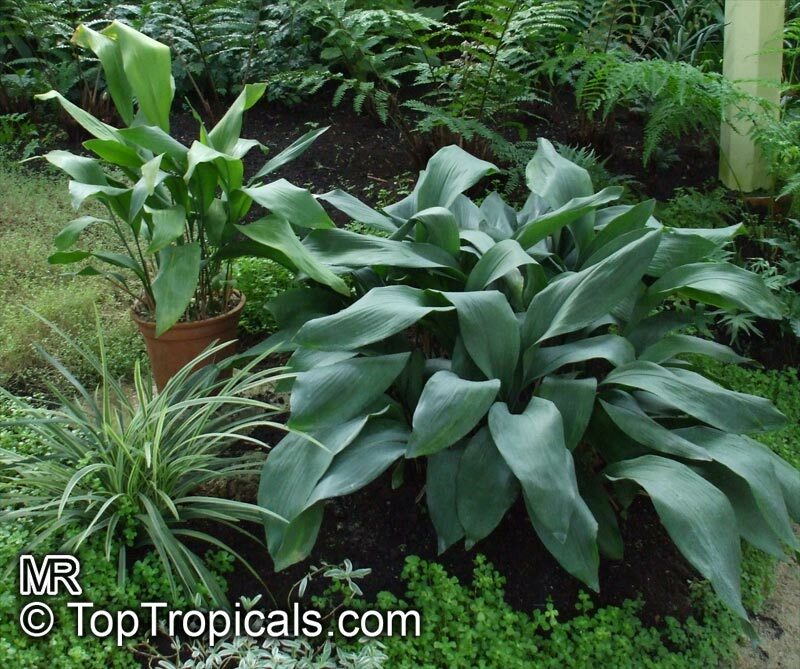 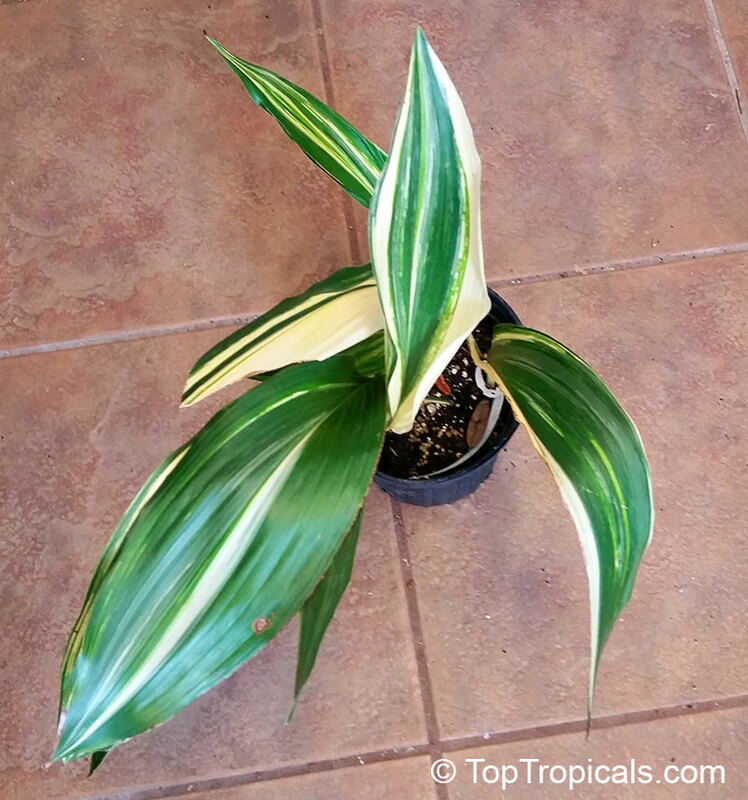 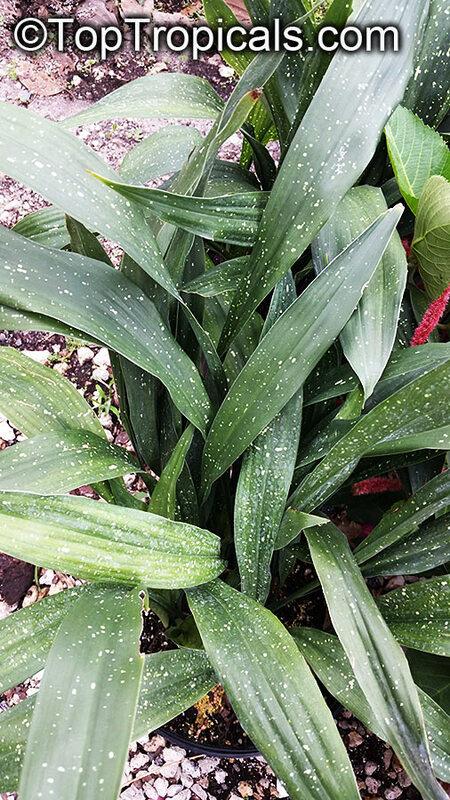 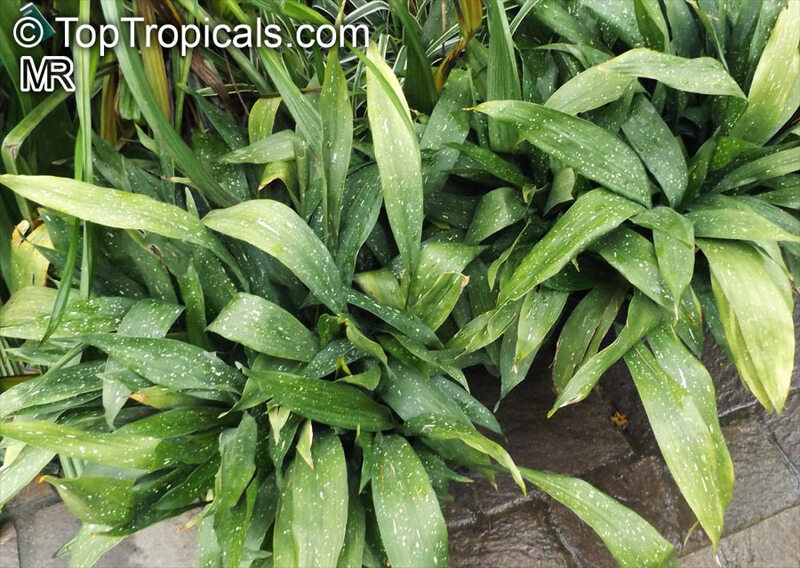 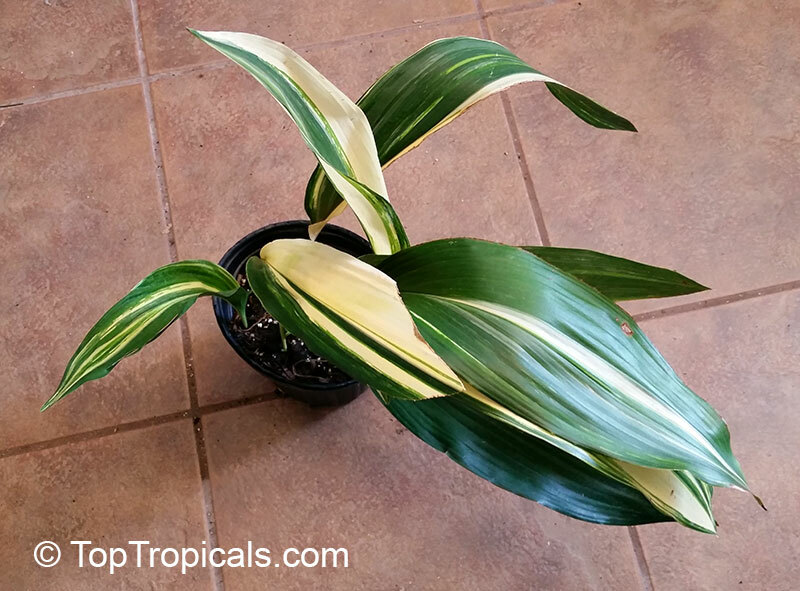 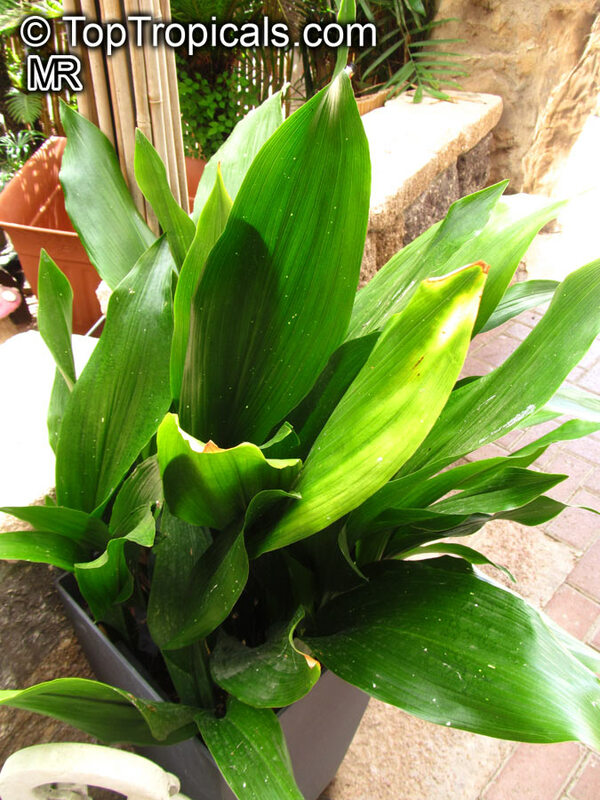 Aspidistra elatior ‘Variegata’ has green leaves variegated with white striping. 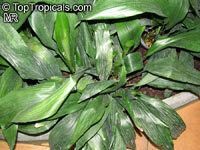 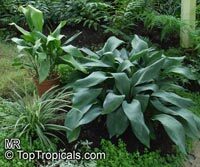 Rugged houseplant for shady areas of the home. 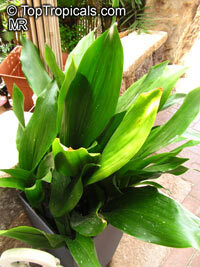 Once very popular, this plant was a common feature of many a Victorian hallway.